A few months ago, we took a day trip out to Oxford to play at City Mazes. The games weren’t great, so I put off writing up the blog posts, but I’ll write down a few notes now for completeness in case you ever venture in that direction and want some advice. 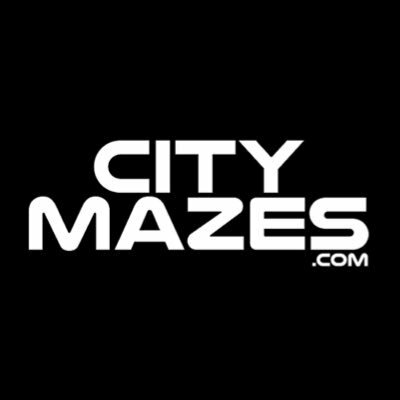 City Mazes is a pretty good location for escape rooms: it’s right next door to a large cinema, so there’s a certain amount of passing trade (one person came in to enquire what an escape room was while we were there!) and plenty of parking. There’s a decent-sized waiting room, and the main member of staff who greeted us was incredibly friendly, even after the pretty critical feedback we gave. The structure of City Mazes’ experiences at this venue was fairly consistent. The games start on the hour every hour, which in itself tells you quite a lot. Each of them has an entirely separate entry and exit from the room, with the GM coming in to tidy up the start of the room as you are escaping out the back. That “pipelining” means they can get a higher throughput but, at least in this venue, it comes at the risk of not paying full attention to your guests (are you really GMing while resetting the room?) and also of players occasionally hearing the GM in an earlier part of the game. Clues are given by asking the GM to enter the room – never a positive move, in my experience. One of the GMs was excellent – good fun and helpful with his hints – but the other came across as slightly condescending. I didn’t feel like we were being stupid but, even if we were, I don’t think that’s a great attitude to show your guests. Since we played, they’ve closed down Control Room 54 and replaced it with the Professor’s Predicament, a Russian-designed game from Indestroom. I considered deleting this part of the review but I think there are some good lessons to be learned from the games’ weaknesses so I’ve kept it in. If you’re looking for games that are still open then feel free to skip straight past it. If this game had a theme, it was hard to tell at first. It’s obviously “the control room” but, aside from some control panels later in the experience (which did admittedly look fairly impressive), there was very little to carry the story. Really, this game was all about the puzzles and escaping. And those puzzles varied. Significantly. At times, it felt very much like someone had fallen in love with the computer game Keep Talking and Nobody Explodes and decided they wanted to create an entire escape room just like it. The parts where this was well implemented were reasonably fun, but all too often it was implemented badly, ending up with something that caused all the members of our team a huge amount of frustration. This game has long since gone, so dwelling on its weaknesses serves little purpose, but it’s worth highlighting its use of colour because it does provide a useful lesson. It was a split-start experience where one person (guess who!) was put in a separate space. Unfortunately, it turned out that a major component of that space relied on recognising colours. It’s one thing to have colours in the room – even I think they’re a reasonable choice – but it’s quite another to separate out one person and rely on them to differentiate between colours without telling them in advance. Around 10% of men are colour-blind, which means that approximately 5% of teams going through this game would have had a significant issue. It wouldn’t have been hard to ask beforehand if anyone had any problems rather than leaving us to work it out. It wasn’t even a puzzle you could brute-force, and the GM had to eventually step in to help. That isolation also created other problems – at one point I was sitting with nothing to do other than re-search a space I’d already pored over for a long period. All I could do was give my teammates simple instructions and wait while they solved the puzzles in their part of the game. It was tedious, and that’s never a good thing in a room. Things looked up as the game reached its conclusion, with a meaty puzzle based around a chunky and impressive prop. Suddenly, it looked like all might be well, but then we hit the most frustrating part of this room: poor direction and minimal player feedback. We ended up fluking two of the puzzles without understanding the cryptic instructions. After a while we started to understand a bit more, but there was no sense of training the player to understand those puzzles – you were thrown into the deep end and had to swim. Or drown, like we did. That should have been the end of the game, but there’s one more step that felt like it was a total afterthought. It was such a weak way to finish the game, but at that point we didn’t really care – we just wanted it to be over. In some ways, Spaced X had quite a strong theme. It was a little like they’d taken the “white room” concept as a starting point and then moved off towards the space theme. Production values varied: in some places it looked good (at least for a slightly IKEA-feeling room), but in others it seemed like they’d almost tacked on some decoration to fix up a puzzle that wasn’t working as expected. So it wasn’t stunning, but it was certainly intriguing and drew me into the game. That was a good thing, because the experience didn’t really make much of a pretence of having a story. It just threw some (very loosely) space-themed puzzles in front of you and let you run. Those puzzles were pretty much entirely linear, with at most two on offer at any one time. Admittedly, they were kind of cool in an abstract way, and the general process of opening spaces within the game was a really nice idea, but when we actually played them we found them to be badly flawed. For example, many of the puzzles were severely lacking in direction – to the point that we solved a couple by accident and didn’t understand what had happened, not even knowing that they’d been solved until the GM told us later. In one case, it felt kind of arbitrary, while in another it was just one possibility out of a lot of potential solutions. The real crunch came at a point in the game when, in order to cause something to happen, we had to solve not one but two seemingly unrelated puzzles. When we reached what we thought was the solution to one of them, nothing happened, so we kept on working on it. Worse still, even when the cupboard did eventually open, we assumed it was purely caused by the other puzzle being solved, so we kept bashing our heads against a brick wall solving puzzle #1. When you solve something, you should ideally be certain that you’ve solved it either because it’s a good solution or, failing that, because of player feedback. To not have either is a huge mistake. This was another game that fizzled out. Having finally passed the painful puzzles at the start of the room, it seemed like there was almost nothing more to do. Credit to the designers for making that finale a kind of silly fun but, especially for a game that could have up to ten players, I felt they could have had a whole lot more to keep us entertained. I have no idea what the story was here, so don’t even think about asking. I’m guessing from the title that we were meant to destroy a star. Or maybe there was an alien civilisation that we had to save? I don’t really know, and playing the game didn’t help to clarify things at all. The room itself certainly had an ancient civilisation vibe to it, with Buddha heads and Japanese-looking writing adorning the space. While the decor was generally relatively bare, that was in part because it was a big space, and those props that they had put in were pretty good. But what about the puzzles? Imagine a room with only three basic puzzles to it. Yes, really. Sounds terrible, right? Well, actually, those puzzles were much tougher than your average fare and pretty well designed for larger groups to get involved in (and, as previously mentioned, at up to ten players per team, that’s a useful feature). The biggest problem in this game wasn’t with the puzzles themselves but with the fact that they didn’t give you much hint as to where you should begin. There was a perfectly reasonable starting point, which we chose only to find out, after a long period working out potential solutions, that nothing happened when we reached the final step. It wasn’t even clear whether we still hadn’t activated the input mechanism (as turned out to be the case) or the puzzle was broken. Player feedback is critical, and here it was severely lacking. Ironically, the feedback was present in this case but the lack of it elsewhere made us assume that it wasn’t, and so we carried on regardless. Since we’d concluded that nothing was meant to happen, we persevered through even more tedious interim steps until we found that our work was in vain and returned to the drawing board. Eventually, we asked for a clue, and the GM was – to his credit – impressively helpful, giving us just enough of a hint that we could work out where we had gone wrong while still enjoying the rest of the process. There’s no real finale to cap the game off, but the final puzzle was physically big, undoubtedly complex and lasted enough time to at least give a sense of grandeur to the ending. This is quite possibly one of the most bizarre themes I’ve ever played. It’s part kitchen, part… rave venue? Words can’t really do justice to the contrast in this game. To be honest, they pulled it off pretty well. Assuming that was what they had meant to pull of, of course… The thing I find funny is that this is billed as a “family”, room but it really didn’t feel like the sort of place I’d want to take young children to. There was no pretence here – the puzzles weren’t trying to be on theme (not that I’m sure what that would have been anyway), and instead just used whatever items were lying around the space. It was very much a simple observation and pattern-recognition room with a small amount of searching. There’s really nothing here to challenge enthusiasts, so perhaps that’s why they refer to it as family-friendly. By the time we left, we were utterly miserable. Few escapes have felt as sweet as this one.